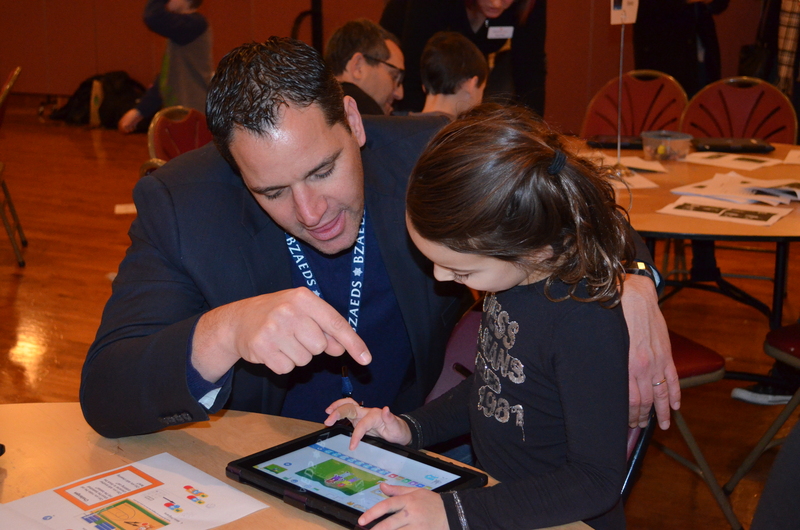 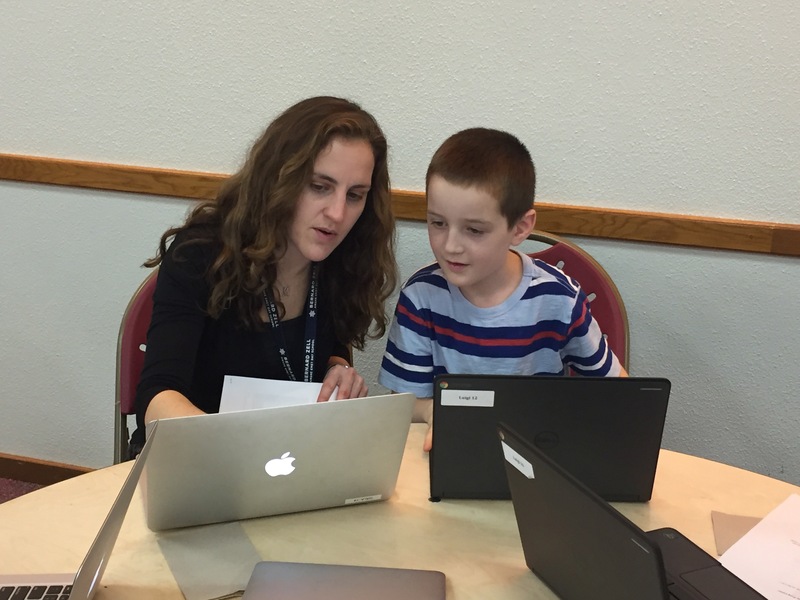 Every December schools across the country celebrate Hour of Code as part of Computer Science Education Week. 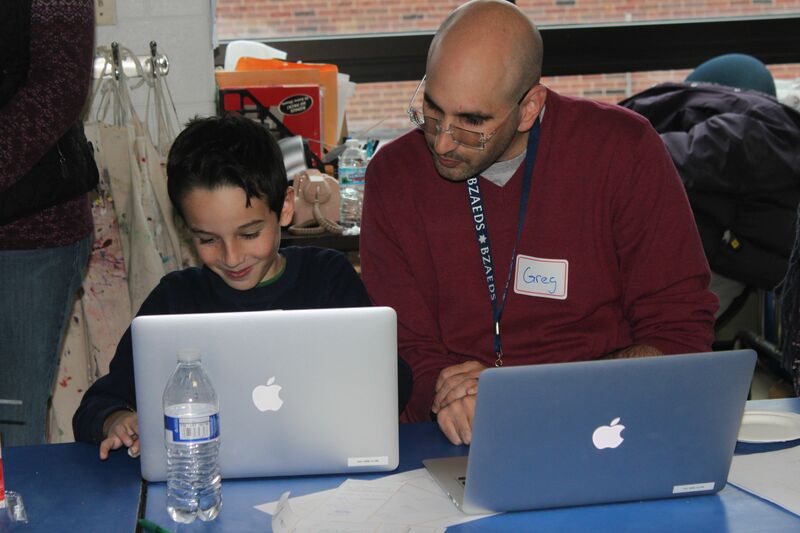 We celebrate with students throughout the school day and invite families to celebrate during an evening event led by students. 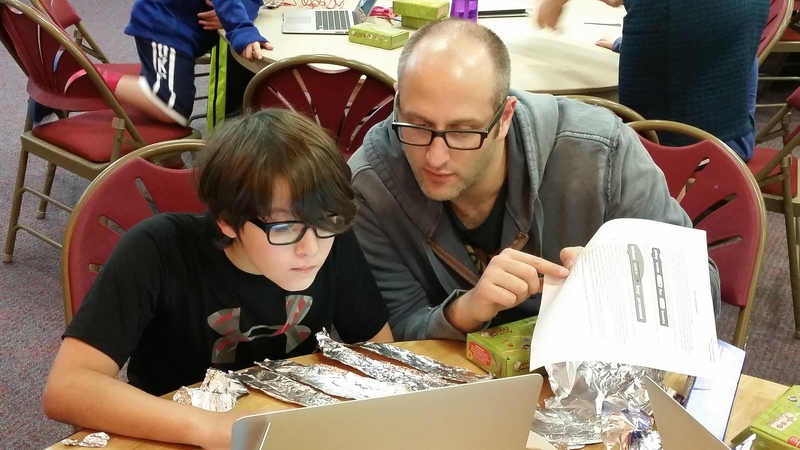 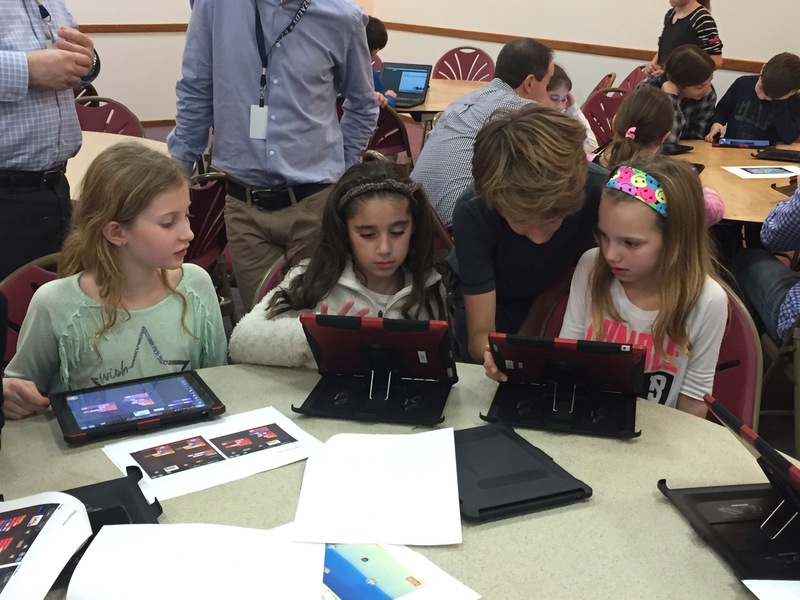 Middle School students work to research and develop a coding activity for various age levels to share on that night. 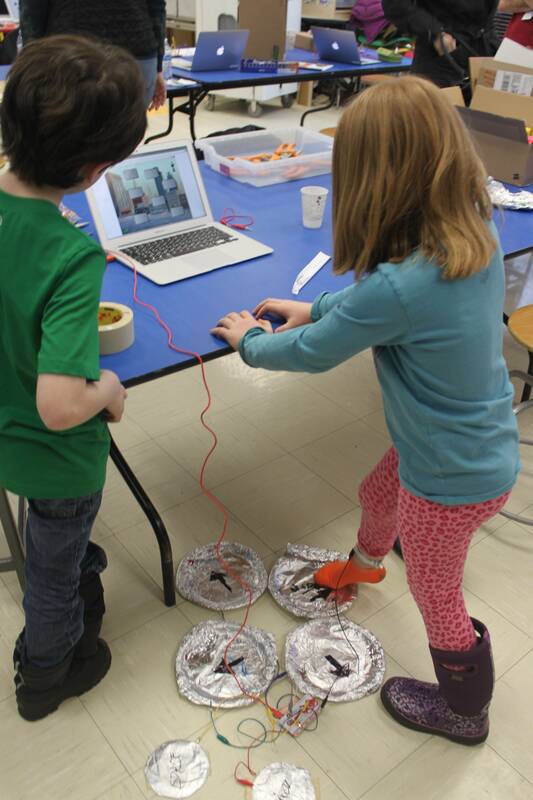 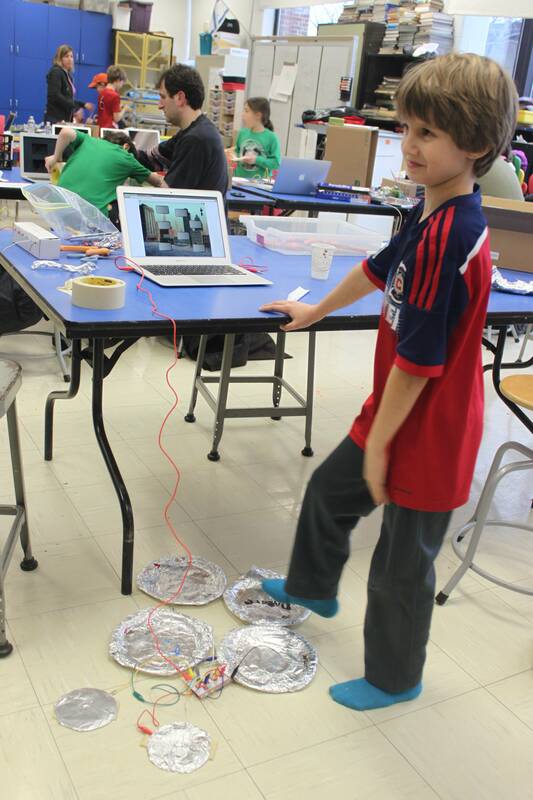 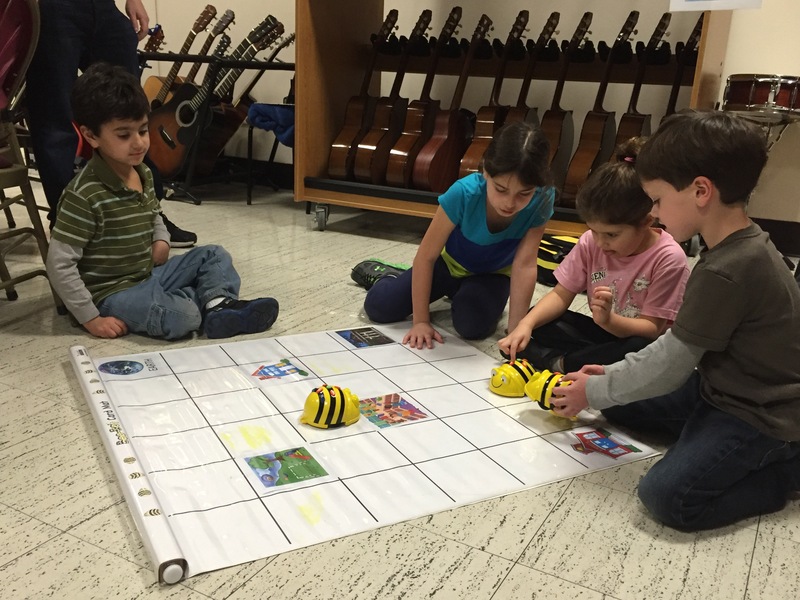 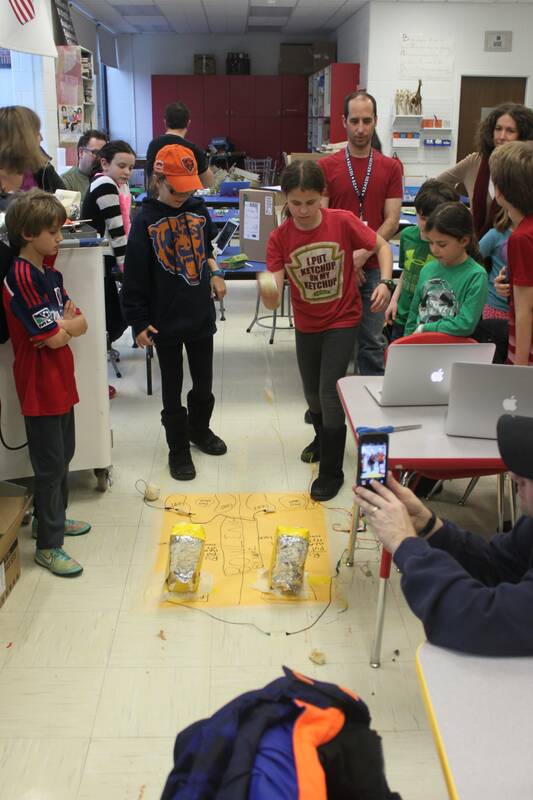 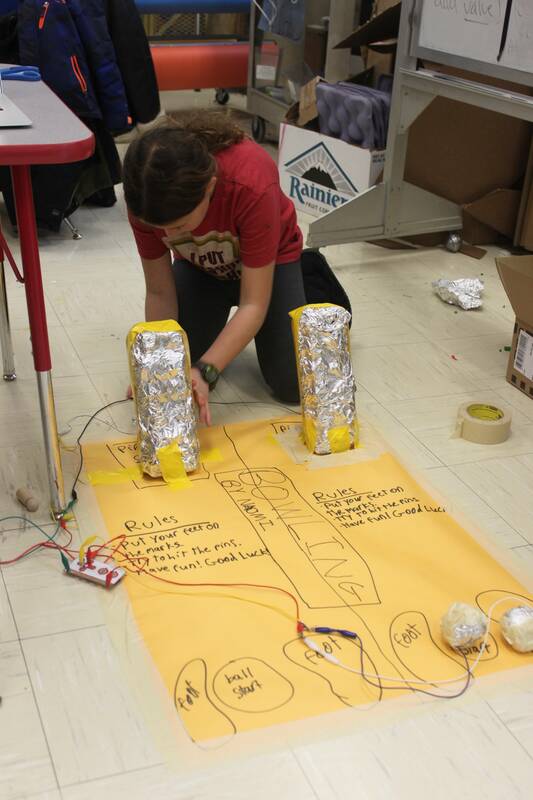 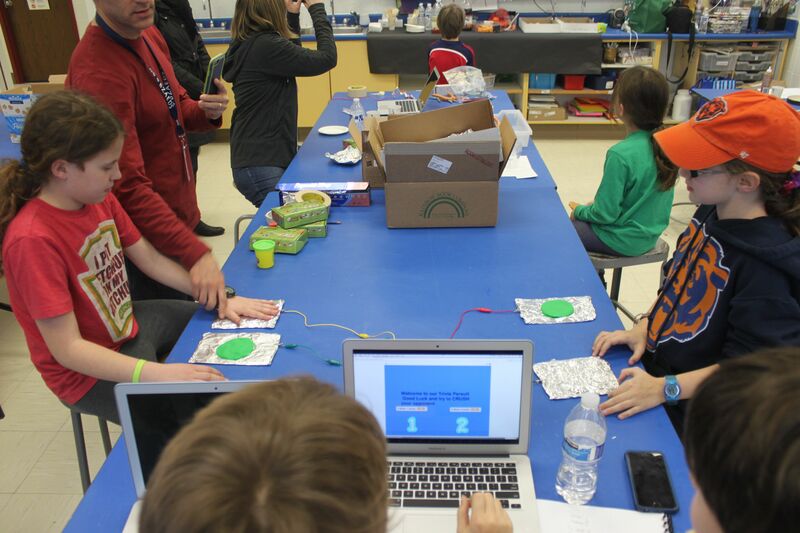 Student projects have included a MaKey MaKey coded with Scratch to create a Magic 8 Ball, a Tynker tilting iPad game, Dash robots programmed to draw shapes and letters, Kibo robots, and BeeBot robot activities. 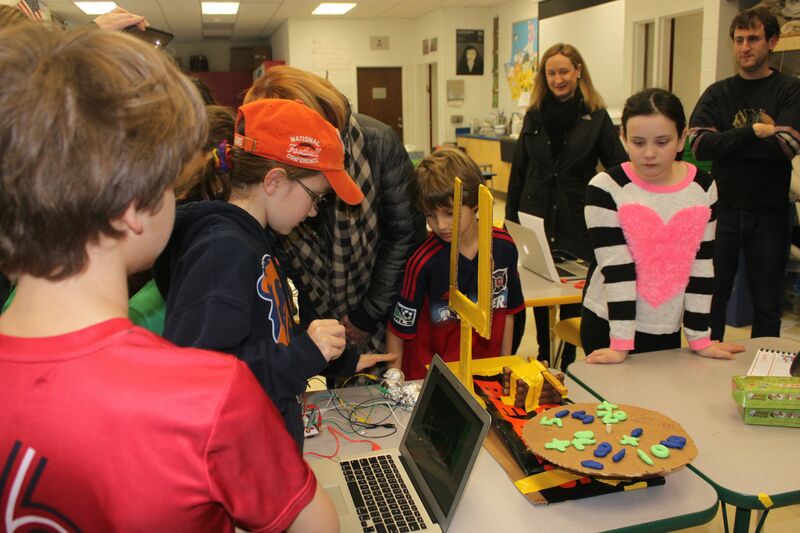 Parents and students spent the evening discovering, learning and creating. 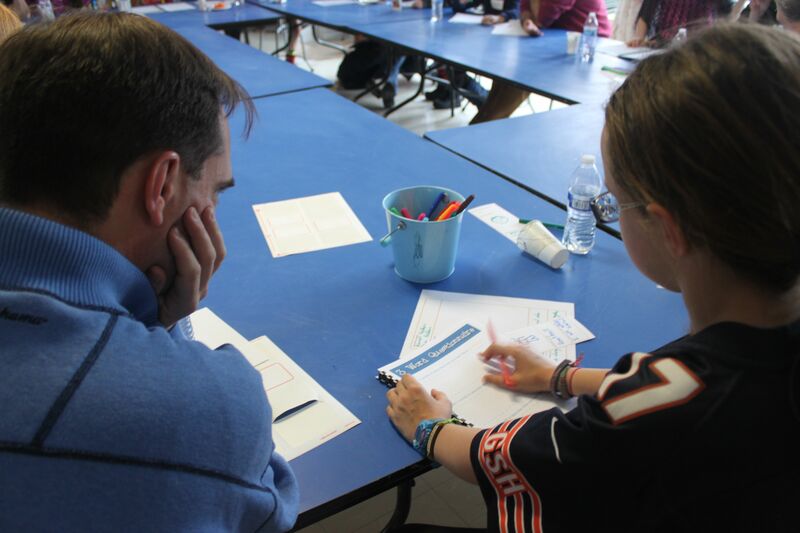 Bringing parents and children together adds value to a learning experience. 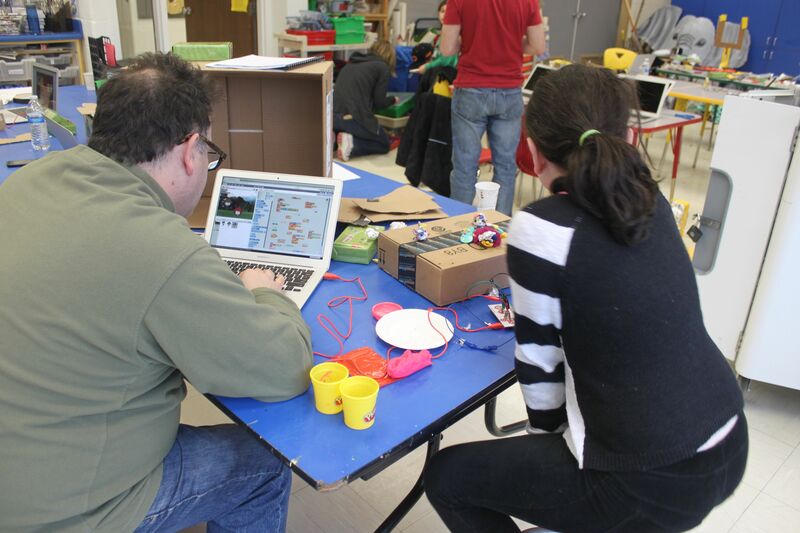 In the winter of 2015 my colleague and I offered a 5 week series of technology workshops focused on student/parent engagement and creative uses of technology. 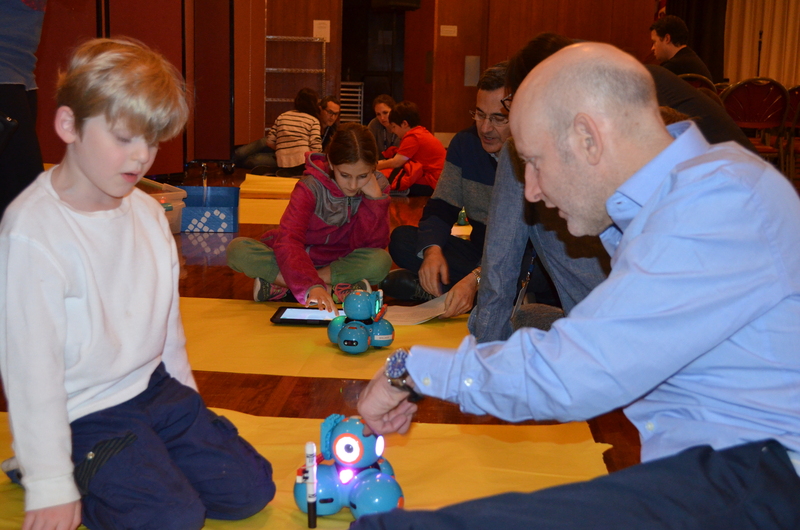 This program, Family Creative Learning launched by MIT, was designed to help parents better understand the technologies their children are exposed to in order to better support their child's explorations and learning. 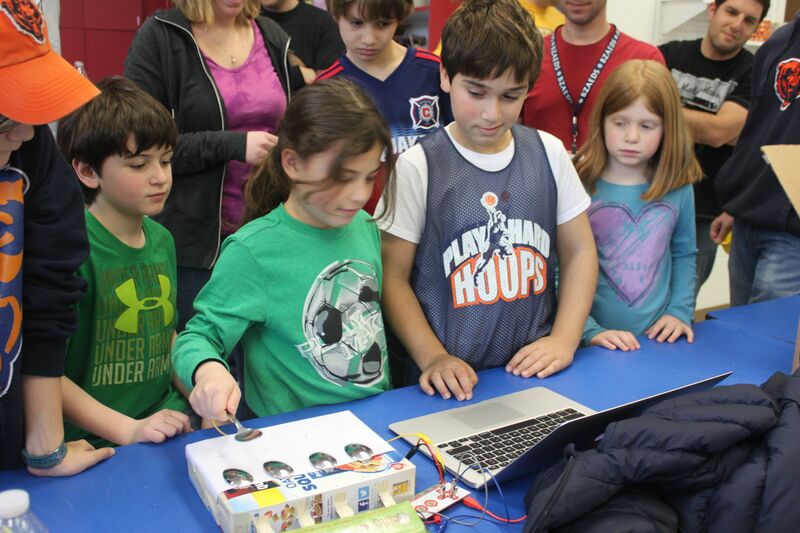 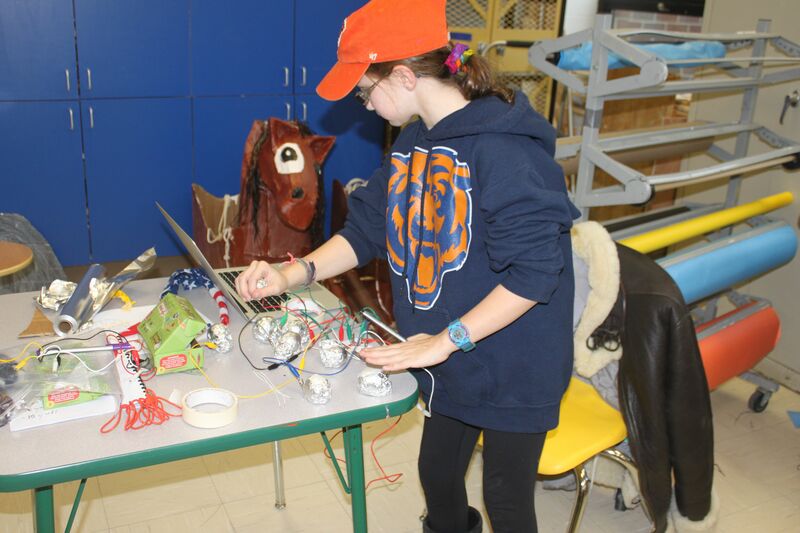 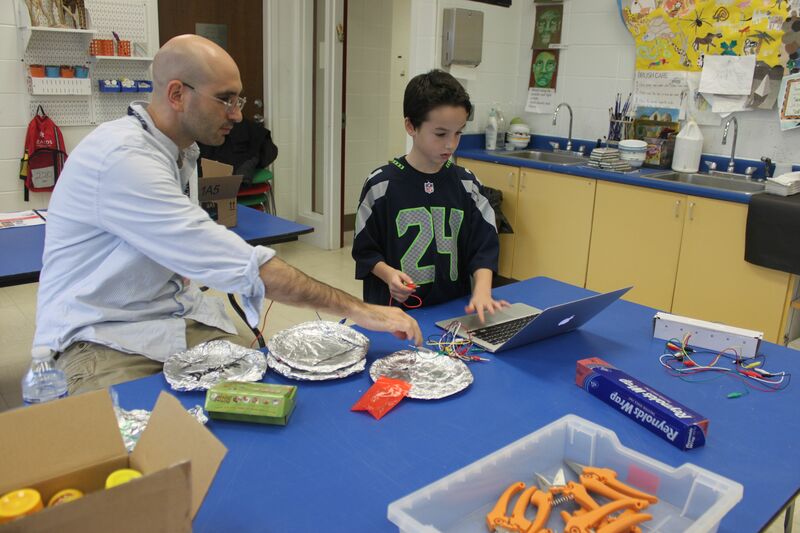 Over the course of the 5 weeks, students and parents learned about programming with Scratch, how a MaKey MaKey worked and how to program with Scratch and a MaKey MaKey. 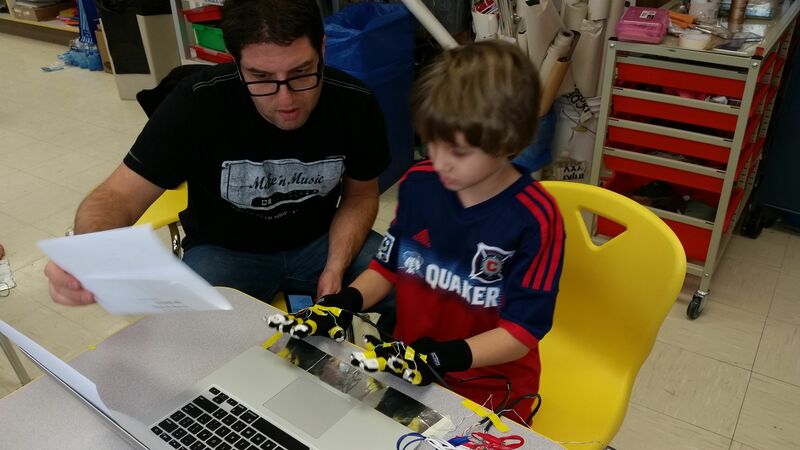 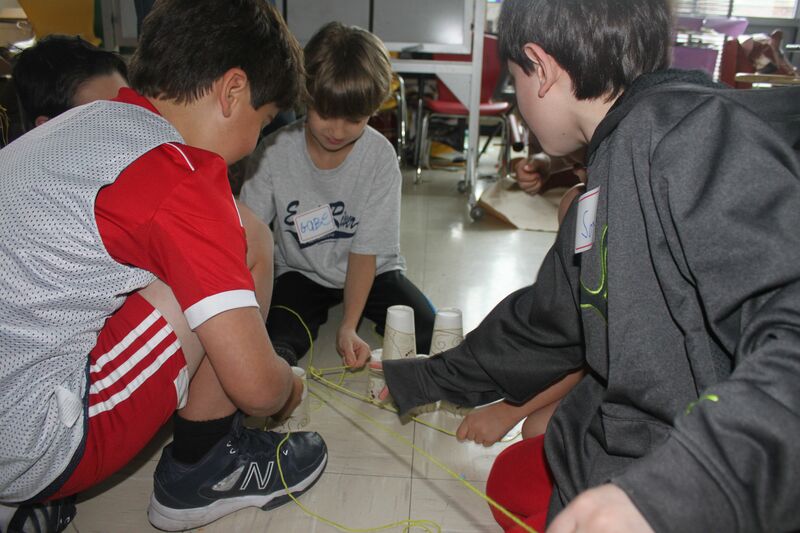 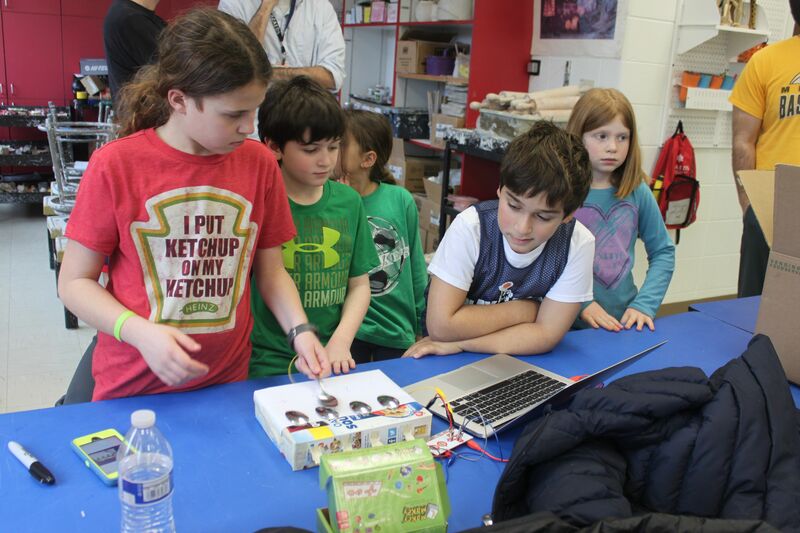 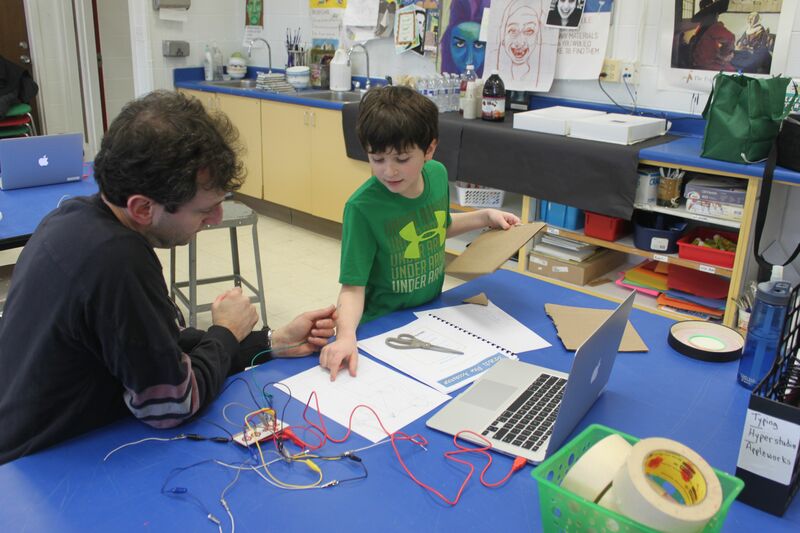 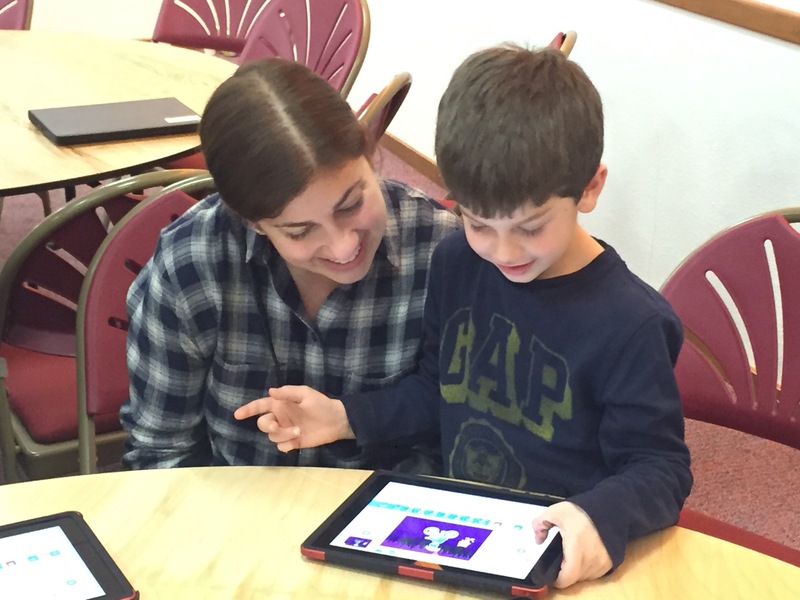 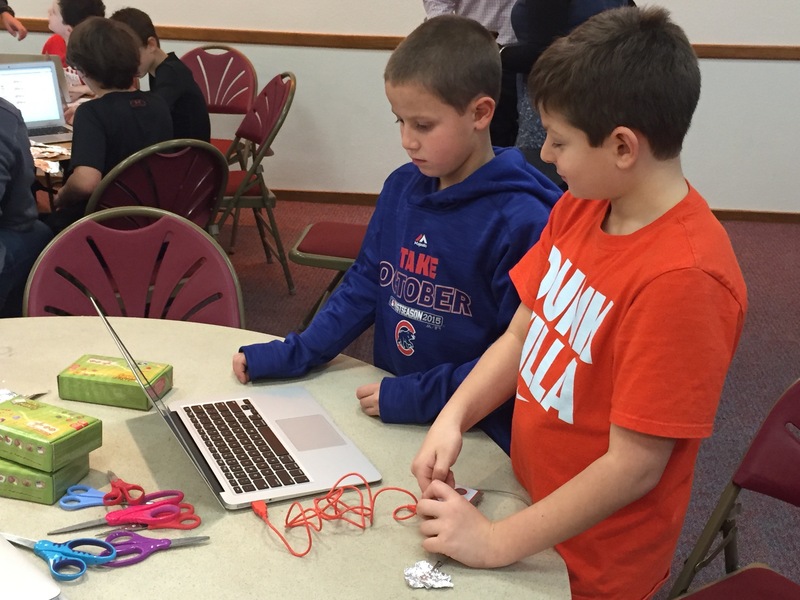 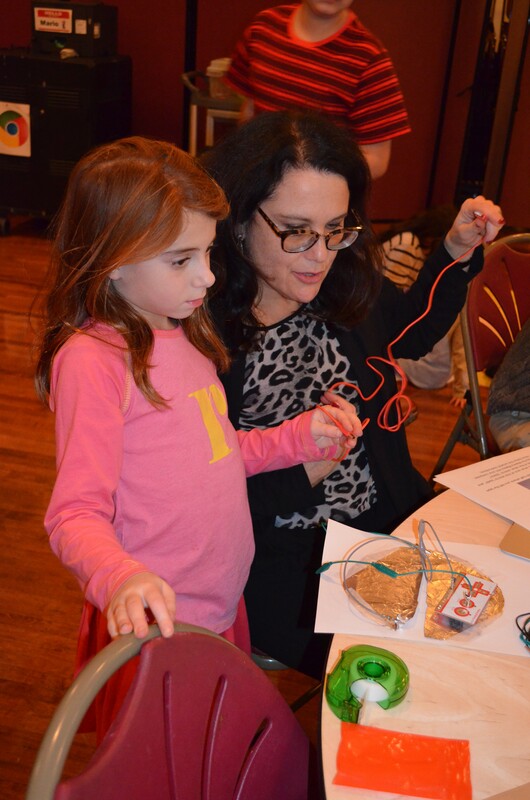 The workshops used a design thinking model to guide families from the beginning of programming to developing their own project that integrated a variety of media, Scratch and the MaKey MaKey. 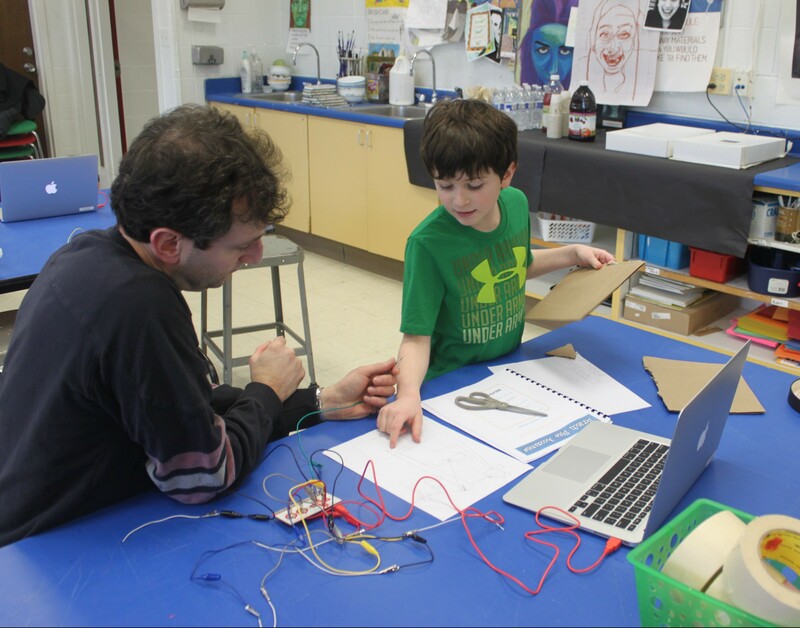 Throughout the process, families worked collaboratively and independently to acquire knowledge of programming and circuits. 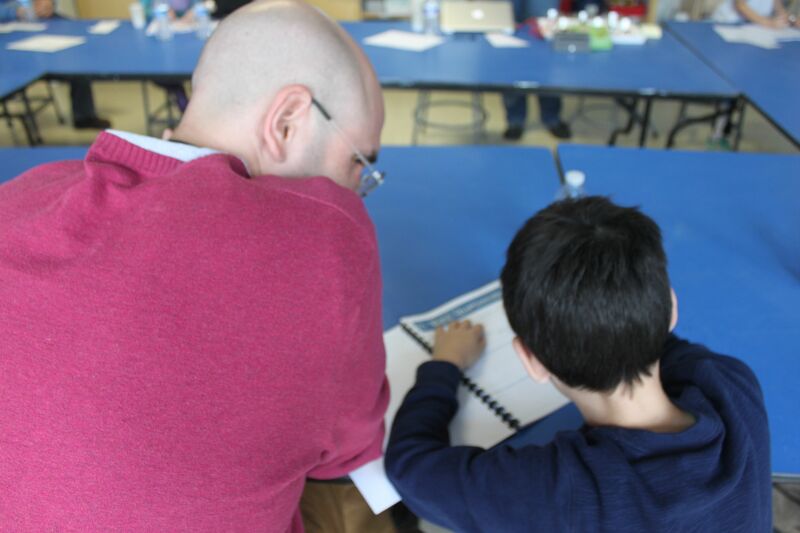 Families brainstormed potential ideas, drew up plans for a prototype, built a prototype, tested, revised and started the process again. 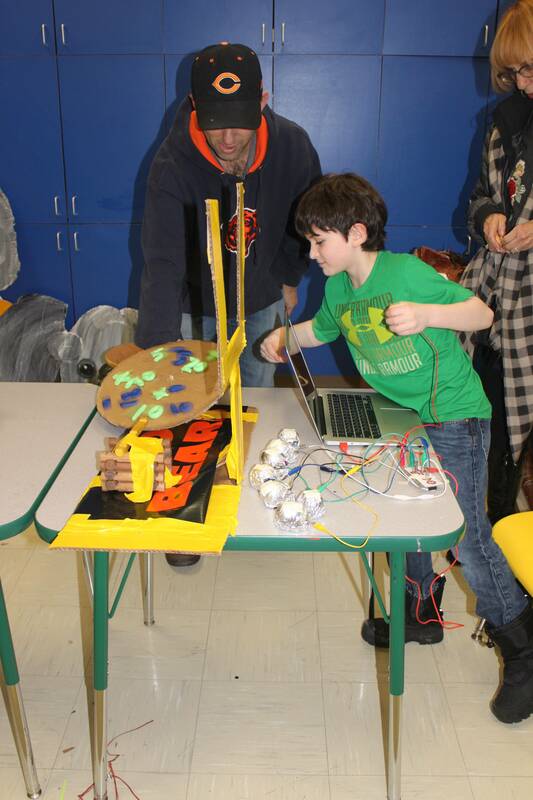 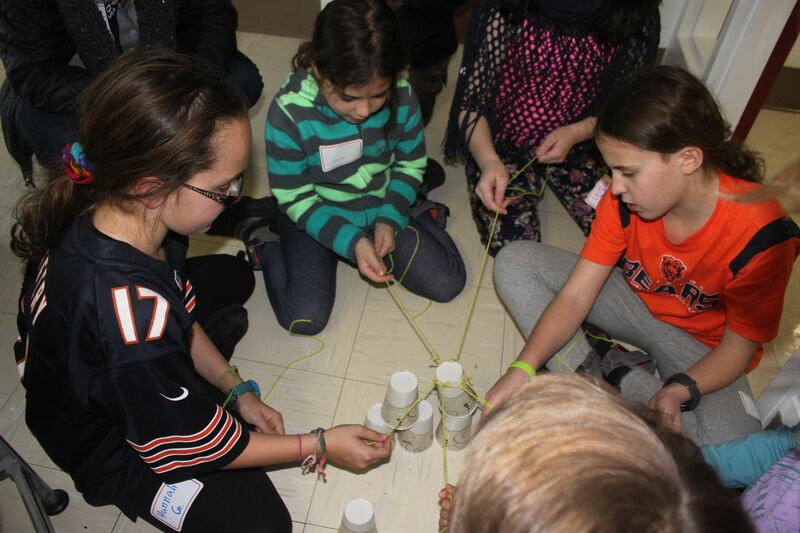 The group was supported by parents who were programmers and engineers by profession. 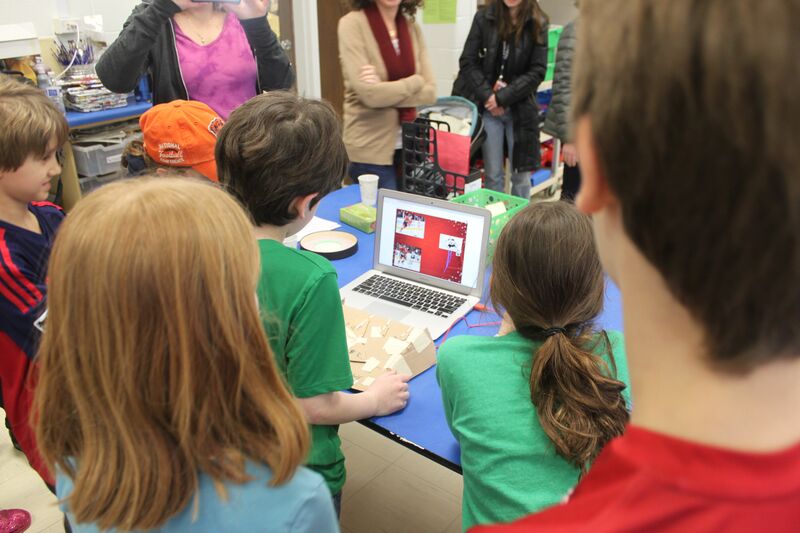 The final day of the workshop was spent finishing family projects for a project showcase. 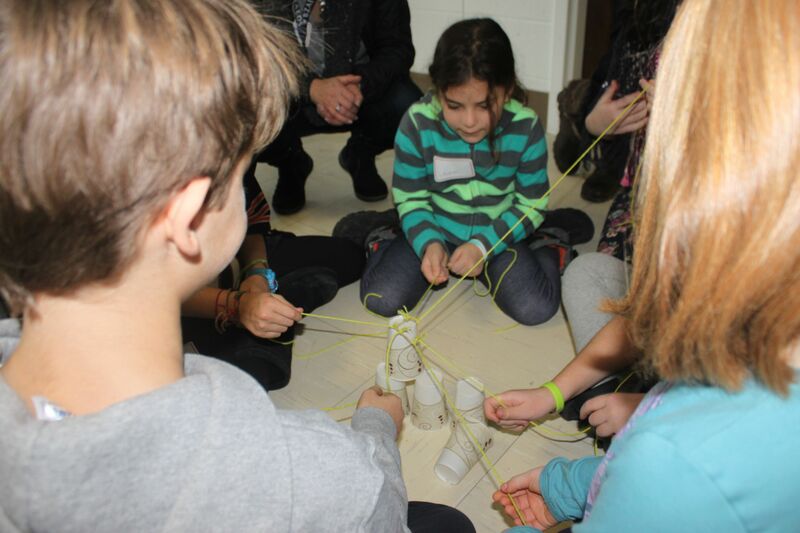 Each family shared their creation and reflected on the process. 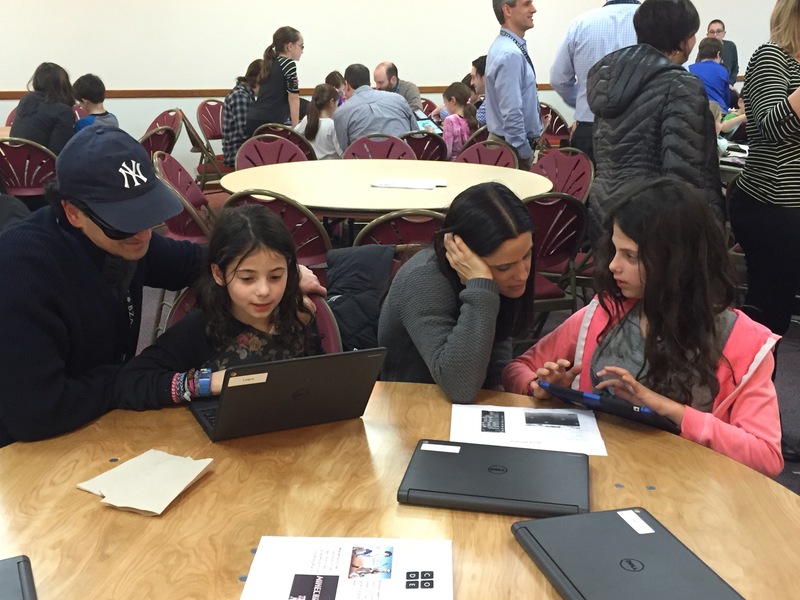 Time was given for families to try all of the projects.